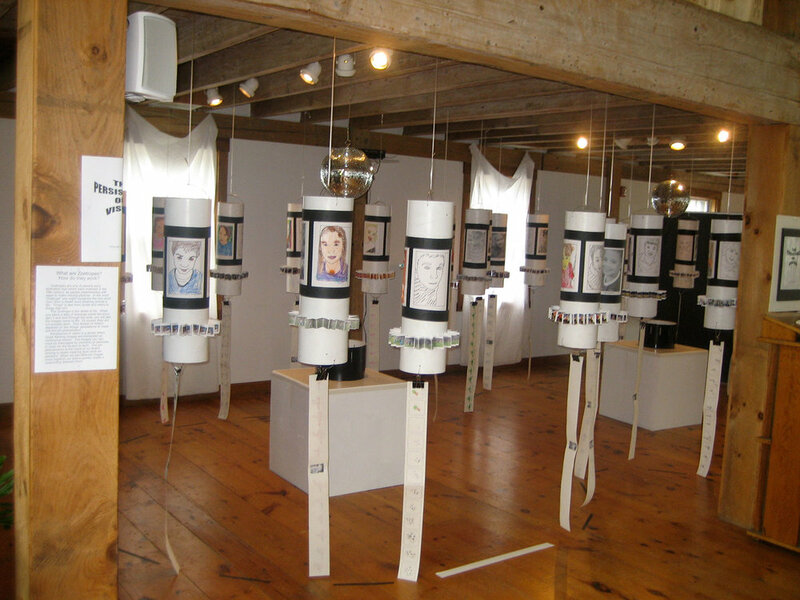 Our 2008 art show was a hands on display of images in motion; Strobe motion. Strobe motion and visual memory are explored with the use of Zoetropes, an early movie making device that uses frame-by-frame drawings, like a flip book does, to turn them into a live action filmstrip. The second piece of our images in motion exploration was a series of tubes. On these tubes pictures of the students faces were traced, drawn and colored exhibiting three versions of the same face. When attached to the tubes and spun they blend into a form of self-expression.